Yet here I am, serving as a pastor, helping to make disciples, develop leaders, and send out church-planters from the campus of Kent State University. How did this happen? Well, up until 2002 our family was involved in a student ministry called H2O at Bowling Green State University (in northwest Ohio). Around that time, our church had grown and solidified to the point where we felt compelled by Jesus’ instruction to “Go and make disciples of all nations” and thus consider starting another church elsewhere — someplace with a lot of young people (since our experience was in ministering to university students), someplace with opportunities for strategic influence (we wanted to influence a city that could in turn influence entire people groups and create inroads to other parts of the world), and someplace with a need for churches. In the process of considering our options, God led us to team up with another church in Colorado (to which we were connected through mutual involvement in Great Commission Ministries), and eventually Amsterdam (the Netherlands) became a particular point of intrigue — aligning quite astonishingly with our search criteria: a city of 1.5 million with approximately 400,000 between ages of 18-30… An extremely international community (the population is roughly half Dutch and half international, with 140 different languages spoken in the city)… And less than three percent of the population living as evangelical Christians. We decided that we had to check it out for ourselves. 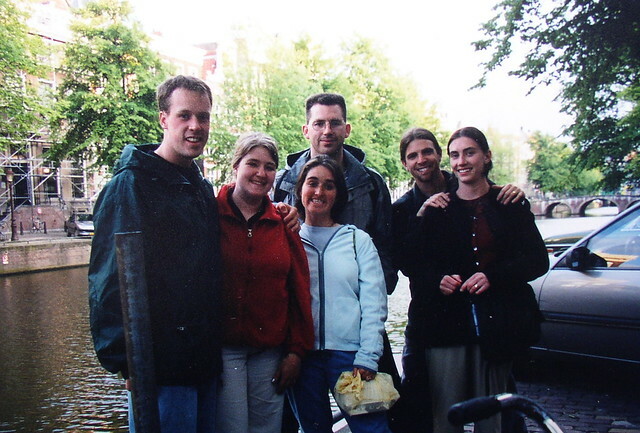 In May of 2001, my wife and I were a part of an exploratory trip to Amsterdam, with a team of 35 people on assignment to get the counsel from any Christians we could find in the city and talk to the average “person on the street” as well, in order to gauge the spiritual vibe of the city. Every church and ministry leader that we talked to urged us to come. Furthermore, we were shocked by what we learned in our interactions with random strangers in the parks and pleins and cafes — asking for a sampling of opinions about God and about church. In all of our random encounters during the course of that trip, we did not meet a single person who had ever even visited a church before! 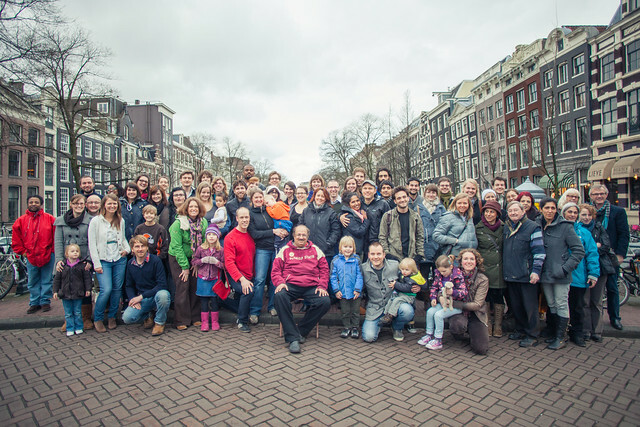 Even so, there was a tremendous sense of curiosity and openness that seemed to beckon us to choose Amsterdam as the location for our eventual church plant… And after much prayer, discussion, and consideration, that’s exactly what we did. 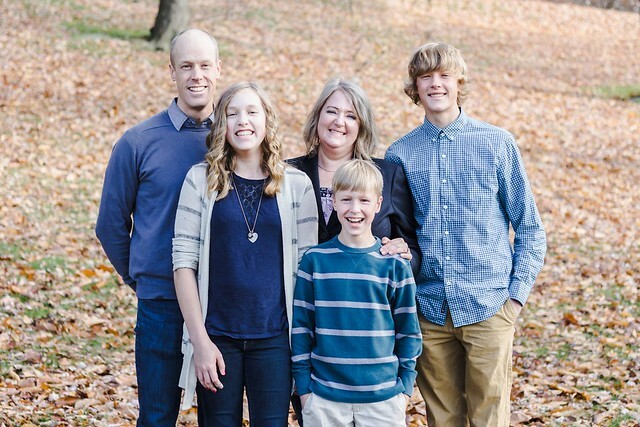 Our family landed on the Continent in January of 2003, and we watched God do some pretty amazing things during the course of our decade in the city. In a Western European context, where church growth is typically measured in terms of dozens of people over decades of time — our ministry actually saw hundreds of people become involved after just a few short years as a church community. 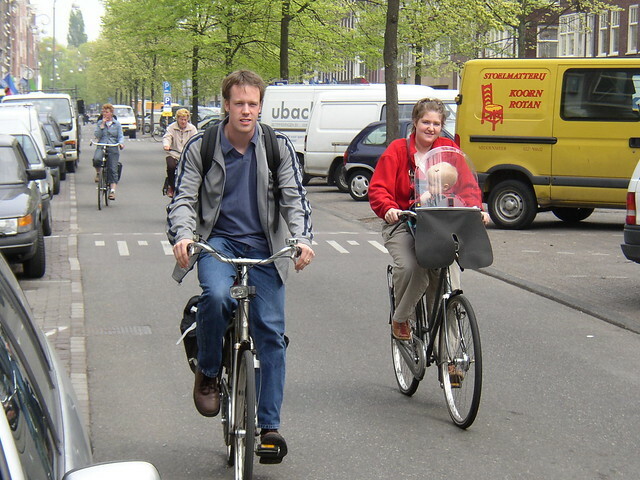 In 2012, our family felt that it was time to move back to Ohio and let Amsterdam50 chart its own course for the future. My ministry responsibilities in Ohio allow me to maintain a catalytic relationship with the developing leaders of European churches (both through periodic video conferencing and through visiting Amsterdam a couple of times per year to provide support). But it’s also been exciting to get back to ministry in Ohio! God has been working in this part of the world in amazing ways over the past decade. The church that we left in Bowling Green in 2002 (H2O) has since grown and multiplied to become a network of eight different churches on eight different campuses across the region! Thousands of college students are now involved with H2O at Bowling Green State University, Kent State University, the Ohio State University, the University of Cincinnati, and the University of Toledo, the University of Pittsburgh, Wright State University, and the University of Central Florida. 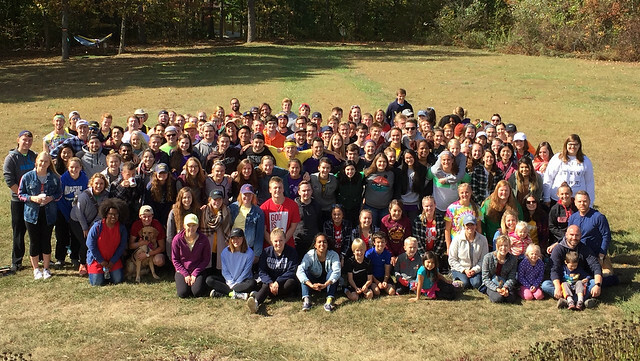 In our own family’s transition, we felt led to band together with old friends who were working at Kent State, where a new campus ministry was established three years previously. In addition to diving back into campus ministry at Kent State University — with all its innovative public events, small groups, and life-on-life discipleship — I’m also really excited to develop a broader role within the H2O network, working to mobilize the next generation of missionaries and church planters. In this sense, you might say that we’re hoping to keep one foot in Europe and one foot in Ohio — bridging the gap and broadening the experience that our family has had over its decade of ministry in Amsterdam. 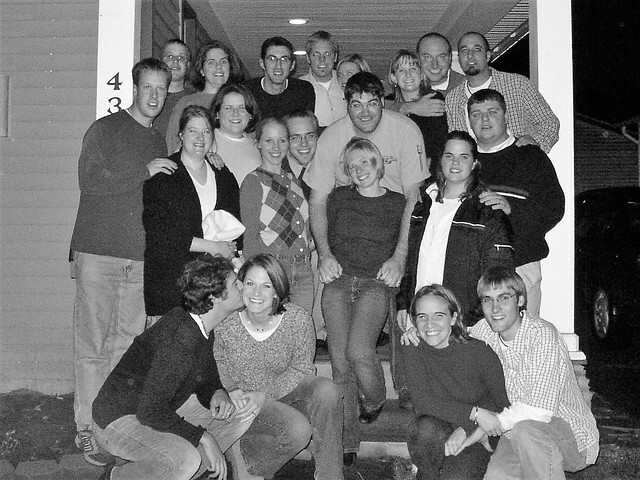 In the same way that our hearts were moved back in our early-20s, allowing us to trust God for big things like trans-Atlantic church-planting, we pray that we might be used to help replicate that experience several times over with today’s generation of twenty-somethings in Ohio and throughout the Midwest. College students are just idealistic enough — and just crazy enough — that they are uniquely positioned for missions mobilization. Now with almost ten years of international ministry experience under our belts, we feel like we have a unique opportunity to live among these twenty-something, faith-filled, idealistic “missionaries-in-waiting” and season their zeal with some degree of wisdom and experience… so that they can be even better-equipped and prepared than we were, when we moved to Amsterdam. In so doing, we ultimately pray that our family moving back to Ohio could help to advance the Great Commission exponentially.